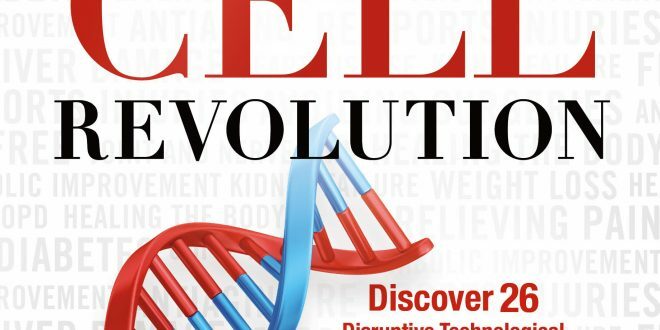 In his new book, Stem Cell Revolution: Discover 26 Disruptive Technological Advances to Stem Cell Activators, naturopathic doctor Joseph Christiano, ND reveals the power of a whole new array of cellular regenerative therapies, including adult stem cell therapy, stem cell activators, and PRP (plasma-rich platelet) treatments. He paints a vivid picture of a medical field being transformed, offering more choices in therapies than ever. He also predicts that surgery and other conventional medical approaches will soon be a thing of the past. Christiano himself is a thriving example of the game-changing benefits of stem cell therapies. He healed a painful bulging disc with PRP, and finally found relief from acute and chronic pain episodes with injections of his own harvested stem cells and orally administered stem cell activators. His patients — who call him Dr. Joe — are now experiencing similar success, and with few complications. Since adult stem cell therapy and PRP use a patient’s own blood, these natural substances have no side effects, and there are no surgical wounds to create scar tissue and to recover from. Christiano carefully explains just how each therapy works: Adult stem therapy draws on the body’s own cellular repair crew — stem cells, which can develop into other kinds of cells and tissues. First, blood is drawn, then stem cells or plasma are separated out in a centrifuge. Guided by ultrasound, a physician injects it into the site of the injury. If the area is hard to access or the patient has a systemic condition, such as diabetes, the treatment can be administered through an IV. Depending on the patient’s healing response, he or she may notice marked improvement within the first week, and ultimately experiences a return to health. As the author notes, stem therapy has become a go-to treatment for elite athletes like Tiger Woods, Kobe Bryant, and Peyton Manning looking for ways to recover quickly. But it’s highly effective for chronic pain sufferers and those dealing with debilitating conditions, such as spinal chord injuries, or illnesses, including kidney disease, diabetes, heart disease, and cancer. Adult stem cell activators are a similarly promising and interesting therapy, combining ultra-low, oral doses and 26 possible “activators” that each address a specific system in the body (adrenal, endocrine, etc.). A macronutrient coating allows the activators to pass through the digestive system and then travel to the targeted organ or tissue at the root of the problem. With Stem Cell Revolution, Christiano provides a complete guide to a veritable revolution in medicine. Embellished with real-life testimonials, lists of ailments and treatment options, FAQs and much more, the book does much to demystify and clarify an oft-misunderstood form of healing. (Early, experimental phases provoked controversy over the use of embryonic stem cells.) It also shines a light on the promise and power of science — and the need to let medical research develop and learn. The benefits are nothing short of life-saving.